The Crafco Millbury, MA, team welcomed loyal commercial patrons and consumers at its annual Customer Appreciation Day on September 24. 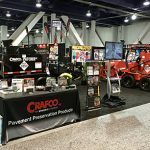 The event offered time to meet with industry colleagues, as well as equipment showings and safety tips. 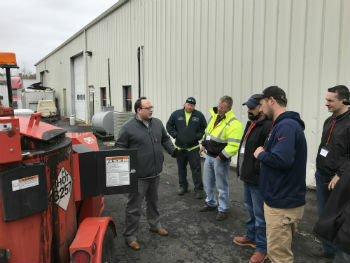 Moreover, the gathering gave attendees the opportunity to consult with knowledgeable Crafco technicians and sales staff on ways to improve their crack sealing programs. 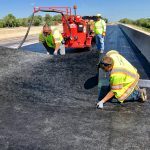 “Crafco is proud to serve the area’s top pavement companies, sealcoaters, and municipalities. 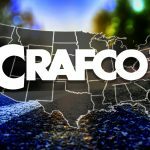 While we demonstrate our appreciation through our expert field support, it’s great to have these informal ways to thank customers for their trust,” said Nick Dell’Isola, Supply Center Supervisor, Crafco Millbury. ← Domino’s: Paving for Pizza!